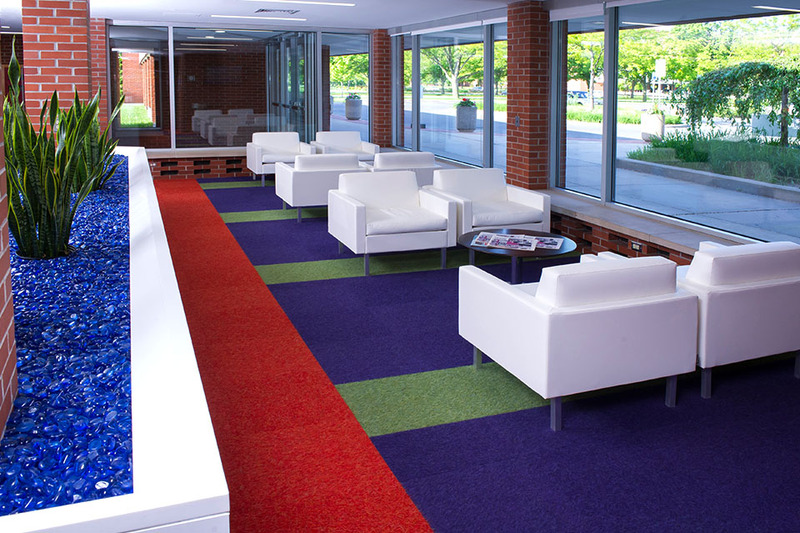 The Grace A. Dow Memorial Library renovation improved the convenience and comfort for daily patrons. 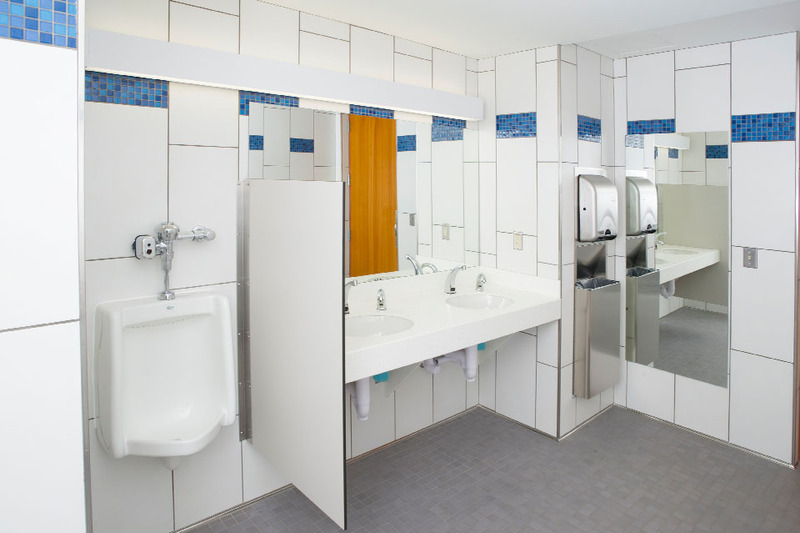 The renovations provide a quick and convenient method for the community to check out materials. 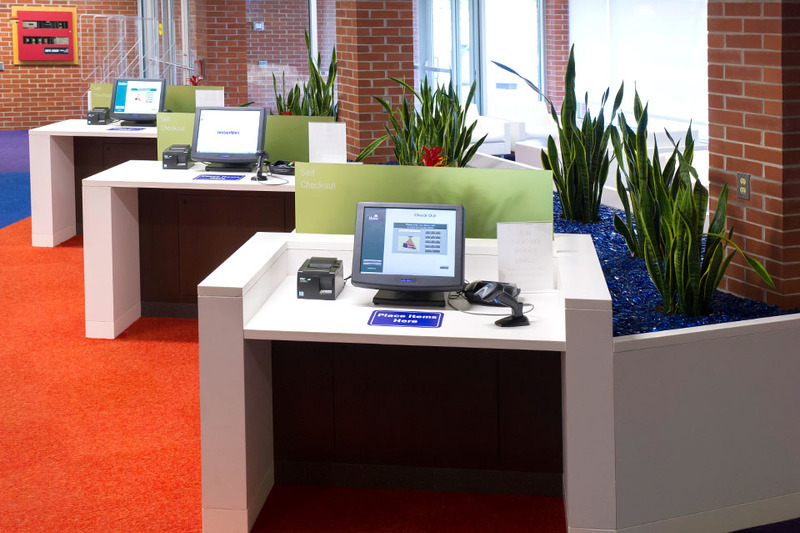 The TRC casework shop created counters for all areas with solid surfaces. The custom planter area was made with a rubber lining. 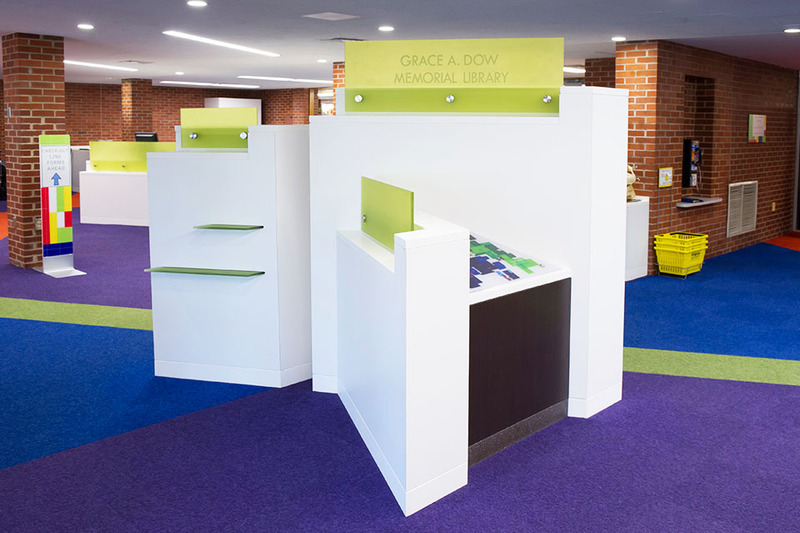 Other materials used in the project were Wilsonart laminate, Corian for the countertops, 3Form acrylic screen panel, and 3Form acrylic backlit informational legend for the kiosk.